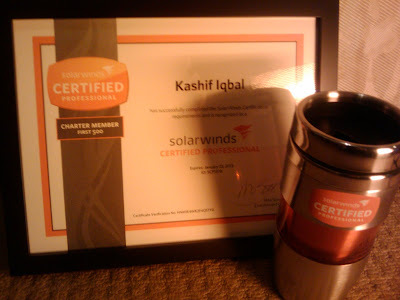 Solarwinds Launched network management certification called SCP Solarwinds Certified Professional covering 5 Main topics. Some cisco commands ... how to configure SNMP ..... why NMS can get SNMP Trap .....but cannot poll data. what things we can setup in ssytem Manager . Port 69 is for TFTP is any firewall blocks ... it means you NMS cannot do something related to IOS upadtes . Check teh latest software developed by zyrion for enhanced server and network performance monitoring software..
Dear Kashif i am new in using SNMP tool could you guide me from where i can download the study material of solarwind? trqmehmood@hotmail.com is email id kindly reply me on it. I need data for studing Solarwind.